Looking back on 2014, there were lots of high points and few low points. The year started badly with incessant rain in December and January meaning that there was widespread flooding in Somerset, mainly on the Somerset Levels, which were under water for months. Some of our customers and friends had to abandon their homes and some have not yet returned to them. It was a heart breaking time for many families and a time they will wish never to repeat. After that slow start to the year, it soon moved on apace. Popular workshops were held throughout the year – one of the most popular being cheese making with Sarah & Chris of The Shebbear Cheese Co. Always a pleasure to have them here and fun as well. Neil White is an amazing photographer and his workshops in Food Photography are always in demand. An enjoyable printmaking workshop with artist Jackie Curtis was also held this year. A new workshop this year was Wild Foraging with Greg Power – a fantastic day learning a huge amount about edible plants and medicinal plants. Music is important at Clavelshay and an Irish Night with Diaspora proved a great night and one which we hope to repeat this year. More good times followed with favourites Bare Bones Trio and the ever popular Cleverly Everly – Everly Brothers tribute who always make the old beams rock! A new band in the summer saw French gypsy jazz band Petits Annonces bring a Parisienne bistro feel to the barn. Fantastique! Weddings play an important part in our business, and the first of the season was an absolute pleasure from start to finish. A relaxed couple, beautiful weather, an informal festival atmosphere – complete with pie & mash - a joy to behold and be a part of. "Love Is All You Need" … Simple really! 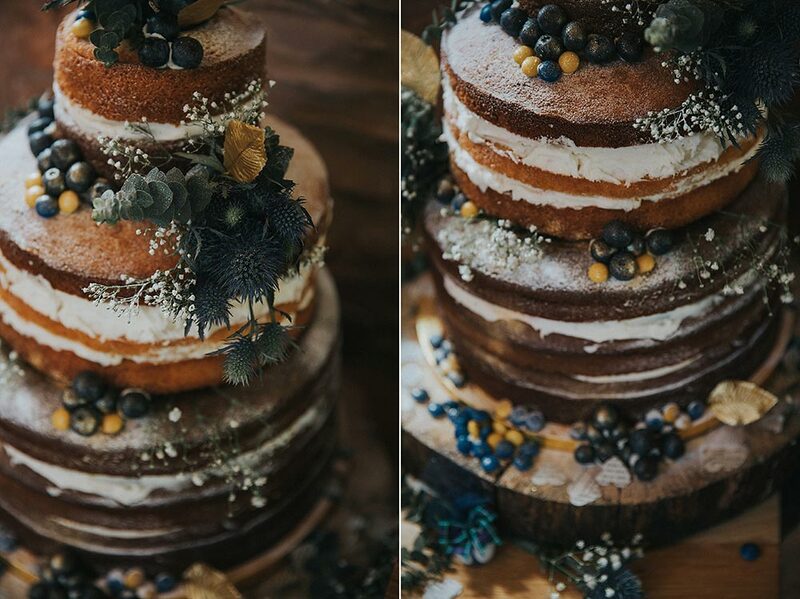 There were some lovely weddings, some small, some large – we love them all! A first for Clavelshay this year was a wedding with high wire artist topping up glasses of champagne whilst hanging upside down from a rope! One of our favourites was Esther & Brian’s. They have been coming to the restaurant since they met and think of it as their special place. Brian proposed here and they had their very special wedding reception here in September. 2014 saw big changes with us saying goodbye to Head Chef Guy Horley who had been with us for 5 years and who had been a good friend to us at Clavelshay and we wish him well in his new job. We then welcomed head chef Phil Verden into the Clavelshay family and he has been a revelation, bringing his own exciting style to country food. His reputation goes before him and we are seeing new customers all the time who want to try his food. Phil wowed everyone with his first Tasting Menu – seven courses of perfection! Hope to do more of those in 2015. 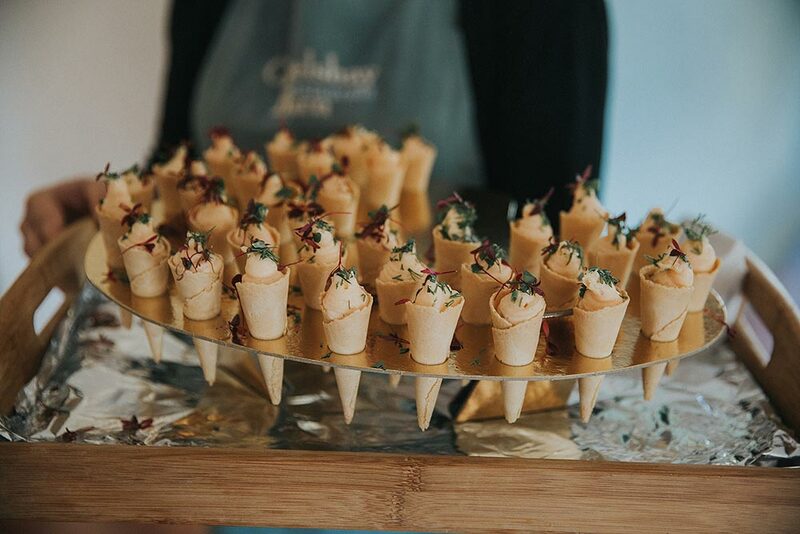 We held a charity event in April – a Pop Up Restaurant with guest chef Sam Moody from the Bath Priory. This was organised by Steve Ashworth and we raised just over £1000 for Children's Hospice South. West. We also raised £500 for CHSW by making jams and chutneys and selling them in the restaurant. At last, we have won a Taste of the West Gold Award – after years of winning Silver –am delighted to achieve recognition for our commitment to local produce. We are delighted to win these awards and need to thank all those involved –all staff – for their hard work, support and friendship. Lastly, thank you to all our loyal customers and friends – we can’t do it without you! Wishing you a very Happy New Year and look forward to seeing you in 2015. Ellie & Iain first came to see me in August 2013 and booked their wedding for 26 July 2014. Almost a year in which to plan, design and make their perfect wedding. The only thing out of their control was the weather and even this turned out to be perfect! Ellie had spent months making pom-poms to decorate the marquee and her efforts were well worth-while. The marquee and grounds looked lovely decorated in pastel orange and greens. Every detail had been carefully planned and all went to plan (thankfully). A hot sunny day and guests were glad to have Pimms on the lawn and a cooling ice cream from the ice cream trike. Then into the marquee for full afternoon tea complete with vintage china; sandwiches, savoury pastries, home-made cakes. Speeches followed with the bride’s father’s the best I have ever heard – made everyone laugh and then in tears! Following the afternoon tea, everyone headed back outside with sweet handwritten notes for the bride and groom. They were given balloons to tie them to, and released them all together into the summer sky. Such a lovely sight! The party started with live music from “The Shenanigans” who had everyone on the floor dancing until midnight. An evening hog roast with full buffet salads was followed by scrumptious wedding cake made by Sue, Ellie’s Mum. A great day – thank you Ellie & Iain for letting us share your special day! Mix well together, then add a Ceilidh band and dancing til you drop. Finally add love and laughter, and mature for years for a long and happy marriage. 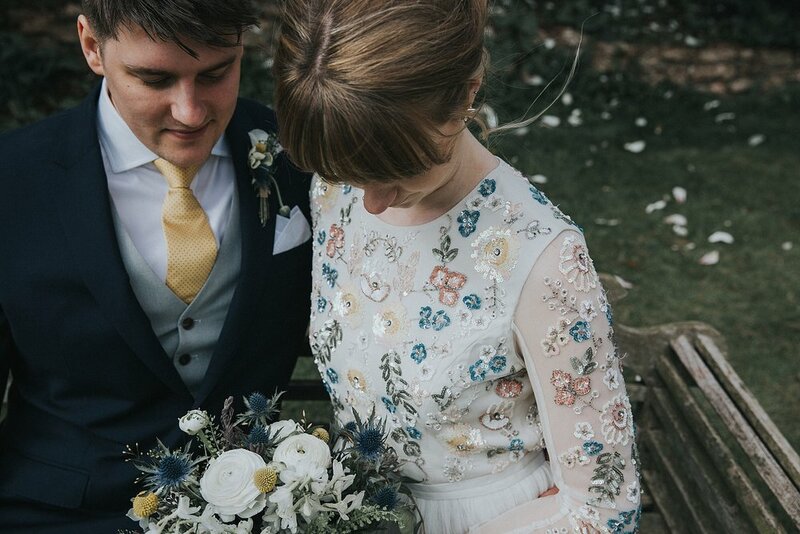 We have come to the end of the wedding season at Clavelshay – it has been so hectic that I haven’t had time to think, let alone blog! A perfect June day for Paul & Liz – sunshine all the day – and I have to say Clavelshay has never looked better with all the flowers in full bloom. 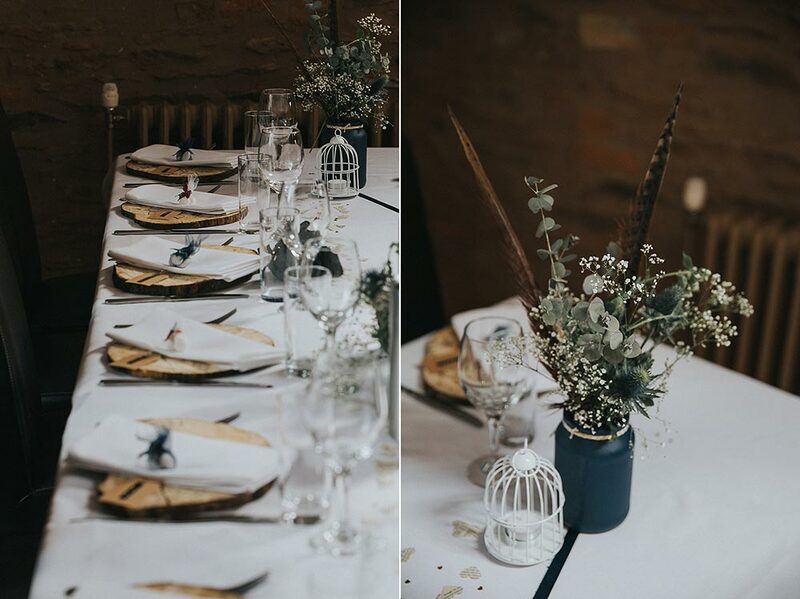 A small but perfectly formed wedding! Another sunny day for Gill & Peter - a happy ever after story for them – 2nd time for both. It was a happy, happy day with weather to match. July saw Kendall & Stephen getting married – a fun filled wedding with plenty of laughter. Stephen is in the Royal Marines and looked extremely smart in uniform, as did his fellow Marines. One of the highlights for me was finding the best man, a 6ft 2 ins Marine, asleep under a table in the marquee on Sunday morning. He had asked if he could sleep there as he had missed all the lifts home- still surprised me though. 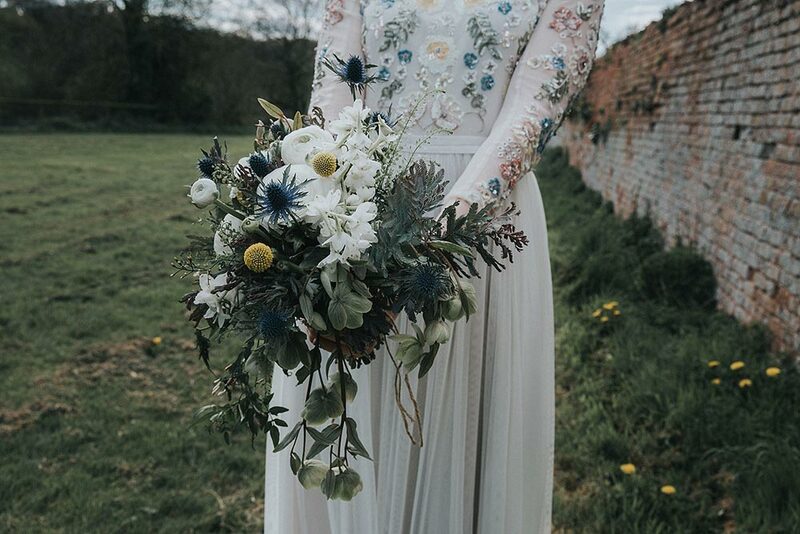 We will be sharing more beautiful photos from Kendall and Stephen's wedding taken by local talented photographer Aran Jefferies, so make sure you pop back! A busy, busy August, with John & Sarah starting it off with a lovely intimate wedding for just under 50 people. Live music from Bare Bones Trio gave everyone such a great evening that no one wanted to leave. Cara & Grant‘s wedding was a triumph – a traditional pole marquee which looked amazing. Grant had everyone in tears as he said it was his dream to get married here – he had played in our fields as a child when visiting his grandparents nearby. Carolyn & Graham ‘s wedding was a classic! They had been together for 23 years and finally got around to getting married. Another beautiful sunny day with an evening to remember, with music from The Man from Funkle echoing across the valley on a starlit night. The following day we had a superb wedding with Kayleigh & Tim organising it all in 9 weeks. Their dream meal was – pie and mash with mushy peas & gravy. All made here by Head Chef Guy – I have never ever seen such clean plates in my life ! The weather was not so good but did not affect the mood at all – a great party - I got to bed at 4.30am! A quieter end to the season with a small family celebration for Jane & David, which was enjoyed by all. We are happy to cater for all tastes and that is what makes weddings special here – every single one is completely different and very individual. That is why I love it! 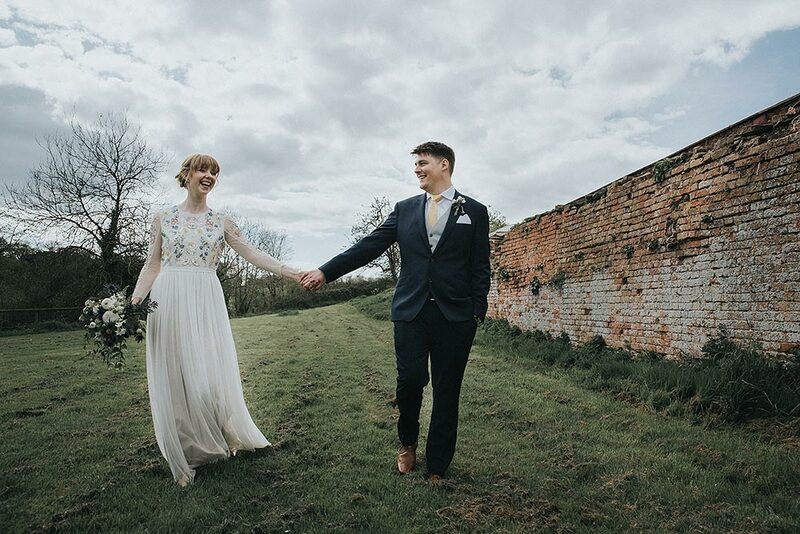 When I first met Tom & Stephanie more than a year ago I knew they would have a fantastic wedding at Clavelshay Barn – sometimes you just get that feeling – and I was right! We all helped put out the chairs on the lawn for the ceremony and it looked beautiful, just waiting for the guests to arrive. The sun almost started to come out from the behind the clouds just as the guests arrived and the wind died down. The jazz band played as Tom waited nervously for the arrival of his bride. Stephanie looked absolutely stunning in her beautiful dress and as she walked across the lawn on the arm of her brother Courtney to Tom, the clouds parted and the sun shone brilliantly. There was not a dry eye in the place! As Stephanie reached Tom, the only sounds to be heard were birds singing and a woodpecker drumming – an unforgettable moment. A moving ceremony and then natural confetti throwing and then ... Time for Pimms and canapés, photographs and more Pimms. Guests made their way to the marquee where the order of the day was the speeches first and then the wedding breakfast. The hog was cooked to perfection by Bob, expertly carved by Guy and Bob and enjoyed by all. After the meal, it was eventually time for the first dance – an important moment on any wedding day but especially so on this day. Stephanie’s father, George Williams who sadly died 8 years ago was lead singer with a motown/soul group called The Tymes. So Tom & Stef’s poignant choice of song for their first dance was one of his songs – famous in the 60’s and called “Wonderful, Wonderful ”. Then time for live music with local band “Snappa” (snappa.co.uk) who were brilliant and had everyone dancing all night – especially Stef’s Grandad, who at 89 was keen to dance with all the pretty girls! There was even a fantastic dance off between the woman and men in the wedding party, Steph's brother Courtney showed them how it was all done when he busted out a few Michael Jackson moves. No-one wanted the party to end including us! 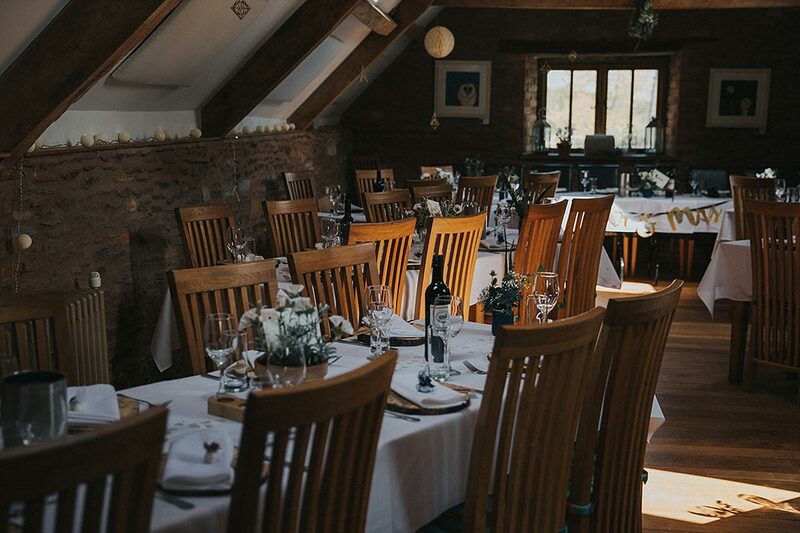 Thank you Tom & Stephanie for choosing Clavelshay Barn and for letting us share this very special day with you – it was an absolute pleasure and we wish you every happiness in your life together.